Students from across Barnsley College and Barnsley Sixth Form College were acknowledged for their outstanding achievements at the annual Student Awards. The awards ceremony saw 11 awards presented, including the Achievement Award, Apprentice of the Year, Equality and Diversity Award, Outstanding Feedback from an Employer, Overcoming Adversity, Progression Award, Societies Award, Student of the Year, Student Voice Representative, Tutorial Award and the Principal’s Award. On the night the Principal’s Award was presented to two outstanding students selected from those who won an award during the evening and this year’s award winners are 17-year-old Kara Nichols and 18-year-old Stephen Hawcroft. Kara, who is a Level 1 Business and Enterprise student at Barnsley College, was also the winner of Student Voice Representative Award and impressed judges with her dedication and enthusiasm to improving the student experience. 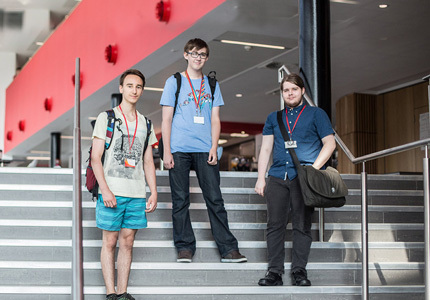 Stephen, who is an A Level student at the Sixth Form College also won the Tutorial Award for his maturity and determination to commit to a three year route to university. Guests enjoyed live music from the Barnsley Sixth Form College Musical Theatre Society and The Yella Lines, a band made up of five students from the Music, Media and Performance department. Barnsley College Principal Chris Webb said: “The awards evening was a fantastic way to celebrate the amazing achievements of our students over the past year. 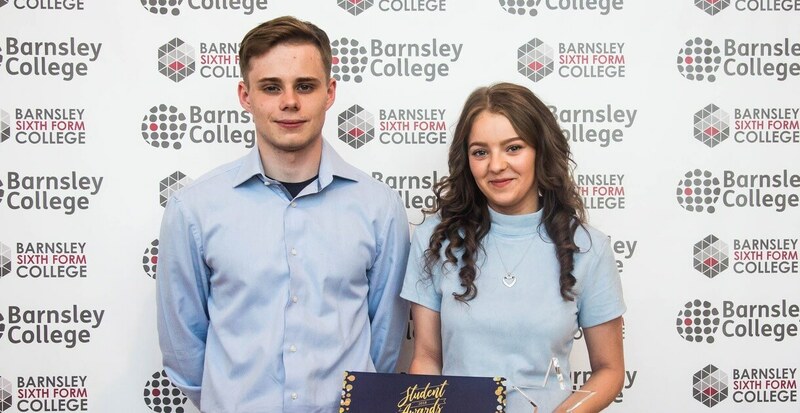 This has been a truly exceptional year for Barnsley College and Barnsley Sixth Form College and the awards evening is a culmination of everything that has been achieved. It provides a fitting tribute to those students who go above and beyond in their studies and in College life. The event was made possible through the kind support of many local and national businesses including Andrew Barton London Education, ASOS, Awesome, Barnsley Chronicle, Billington Holdings, Ellisons, Forward and Thinking, Genius Division, Henry Boot, Sun Healthcare, The Civic, University Campus Barnsley and We Are Barnsley.